AMD’s Raja Koduri is promising to bring all gamers, from the entry level to enthusiasts, a “sweet” performance per dollar deal with Polaris. 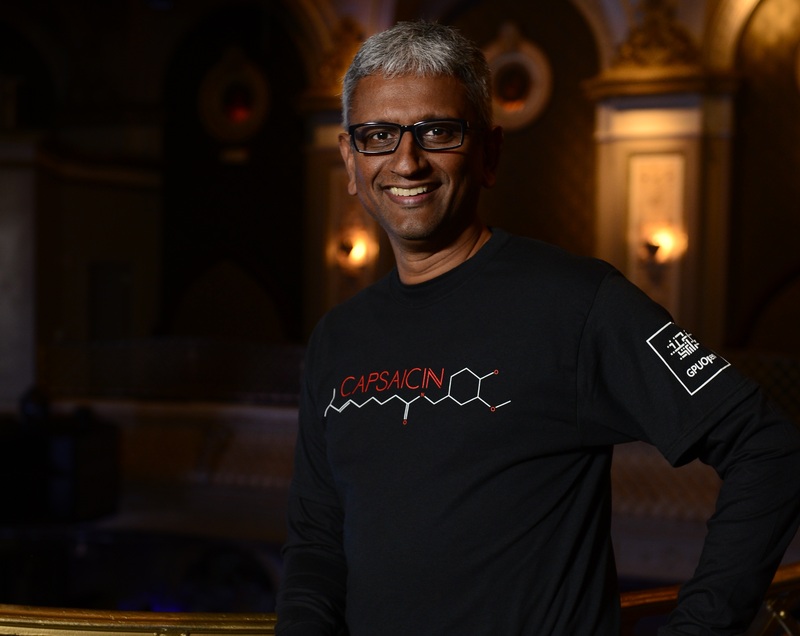 As Chief Architect at AMD’s Radeon Technologies Group, Raja heads all things graphics at the company. 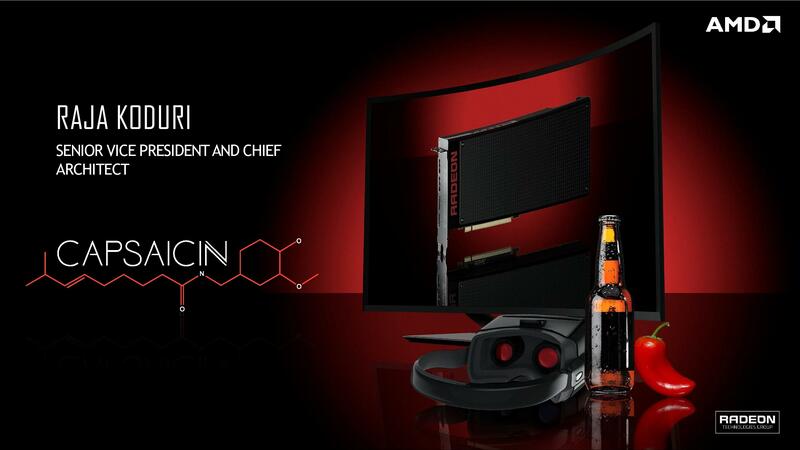 Yesterday the group hosted the Capsaicin press event at which Raja and his team alongside game developers spoke extensively about all the exciting new technologies on the hardware and software fronts coming this year and in the future. 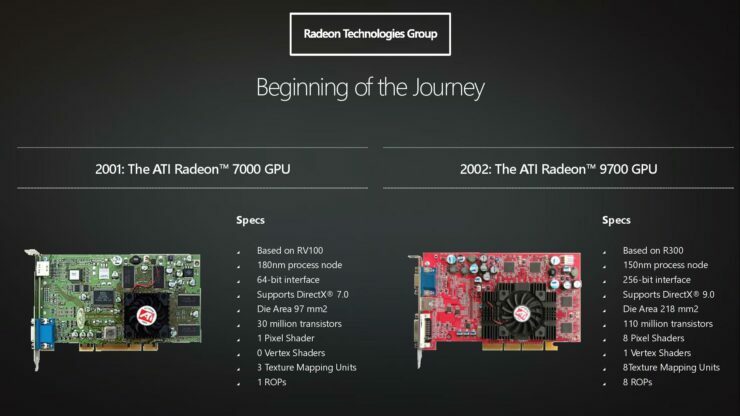 Including the announcement of the world’s fastest graphics card, the 16 TFLOPS AMD Radeon Pro Duo. 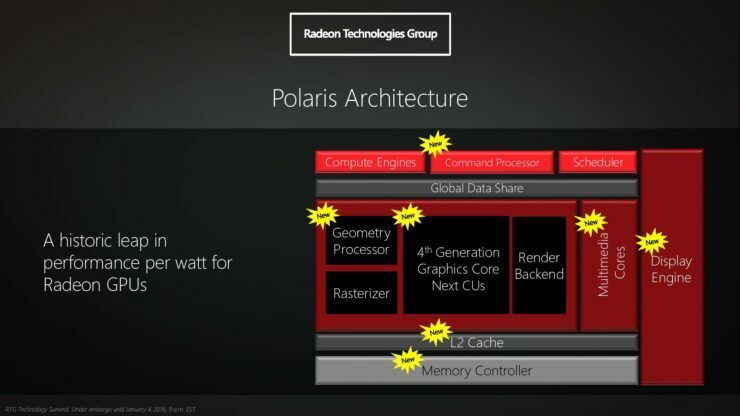 Polaris, the company’s impressively power efficient next generation 14nm FinFET graphics architecture was naturally front and center. With a demo showing Polaris 10, an enthusiast class GPU, running Hitman Absolution at 60 FPS, 2560×1440 in DX12. 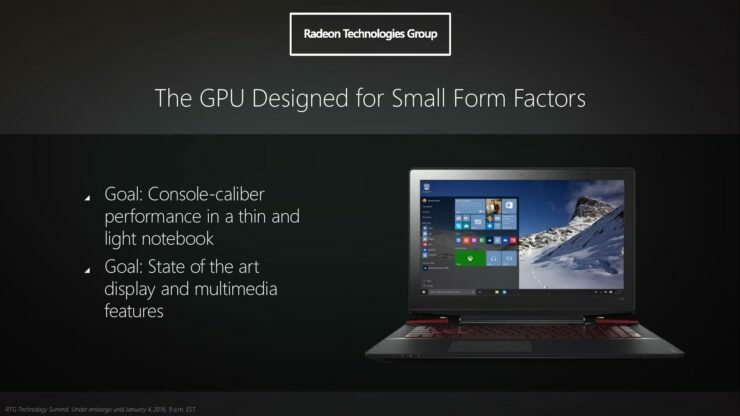 This is the second of two Polaris GPUs that AMD will be bringing to the market this summer. 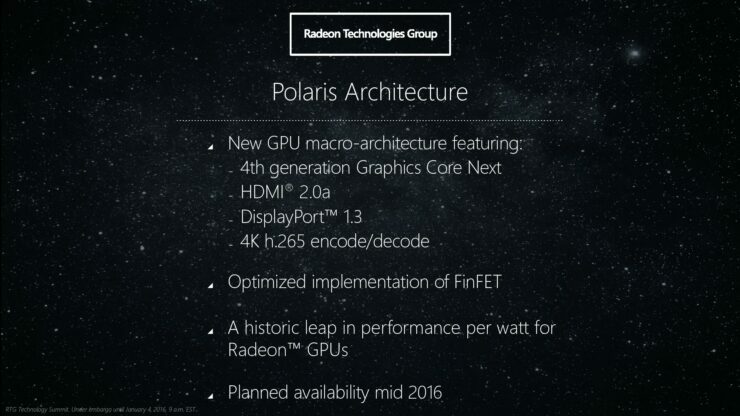 The first being Polaris 11, a very small, very power efficient GPU that was demoed at CES 2016. Speaking with PCPer’s Ryan Shrout after the event, Raja revealed a bunch of interesting stuff about Polaris that wasn’t touched upon at the event. Chief among which is performance per dollar and market positioning. 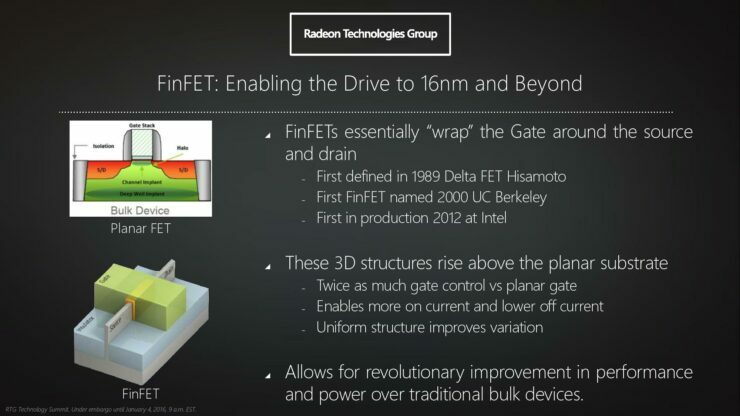 To that effect Raja said that he’d like to bring 14nm technology and all its goodies to as many people as possible. 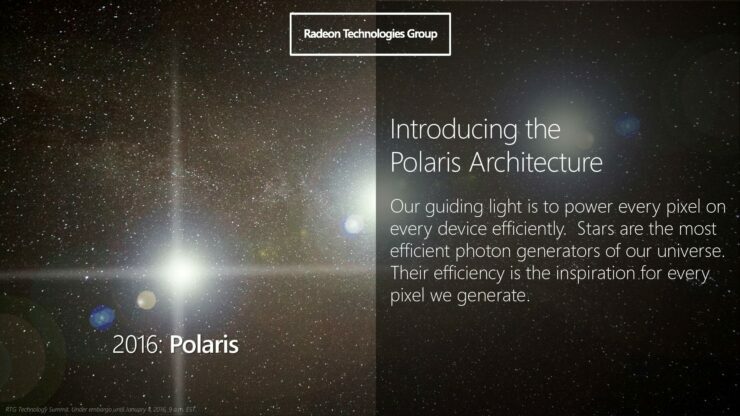 Furthermore, Raja said to expect Polaris based graphics cards cross the entire performance stack. From the entry level to the very top-end. He also stressed that everyone will be “very pleased” and “surprised” at what he and his team are going to do in terms of positioning. “What you’ll see us do is completely different with Polaris 10 and 11. 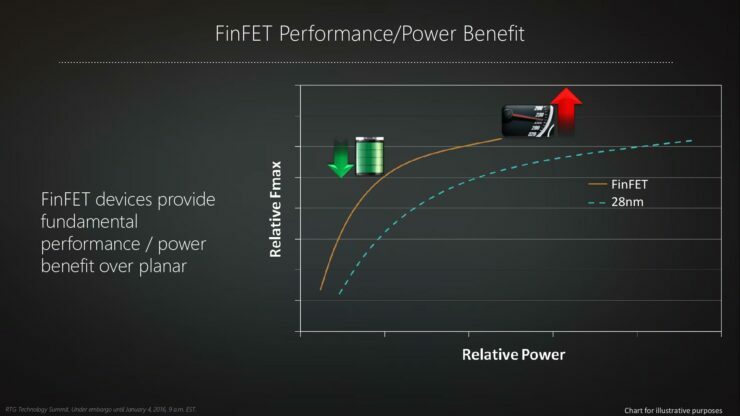 We are really focusing on trying to bring FinFET technology with it’s amazing performance per watt to as many segments as possible. 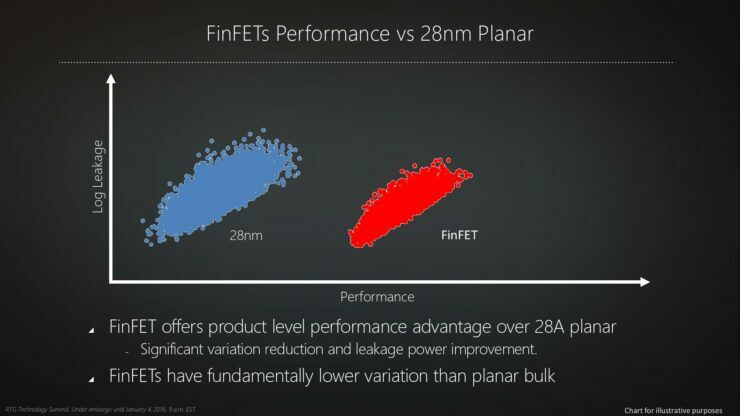 As many ranges of performance as possible. I can tell you Ryan, you and your readers, you’ll be pleased at what we’re going to do with this thing and you’ll be surprised. 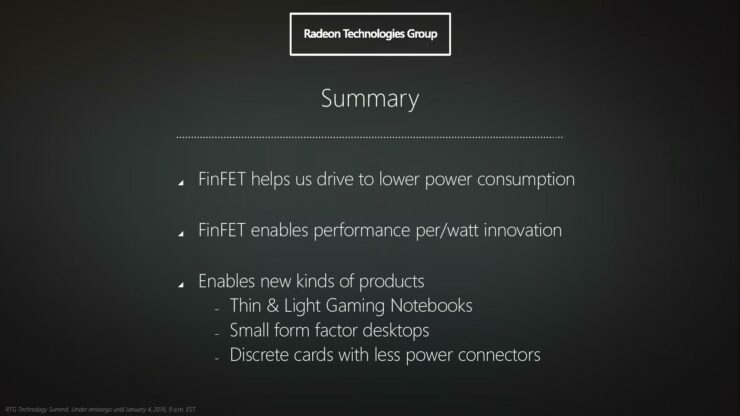 Raja also spoke about the pivotal change in the economics of GPU manufacturing that’s taking place. 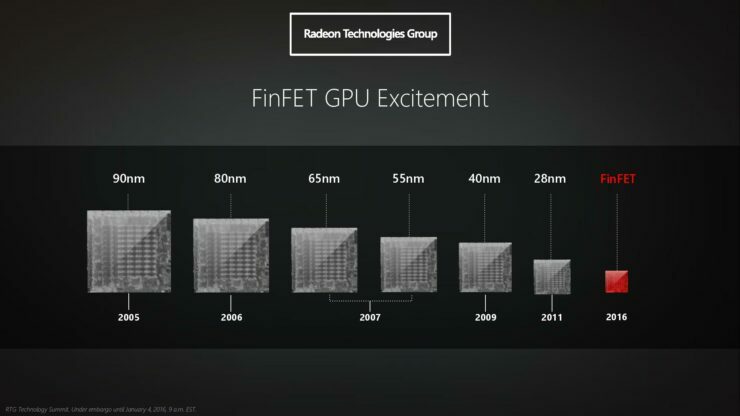 Where larger GPUs are becoming exponentially more difficult to produce and smaller dies yielding much better in comparison than ever before. It’s an infliction point in moore’s law that’s going to have a long-term effect extending into 2017, 2018, 2019 and beyond. The economics of smaller dies have always been better than larger dies. 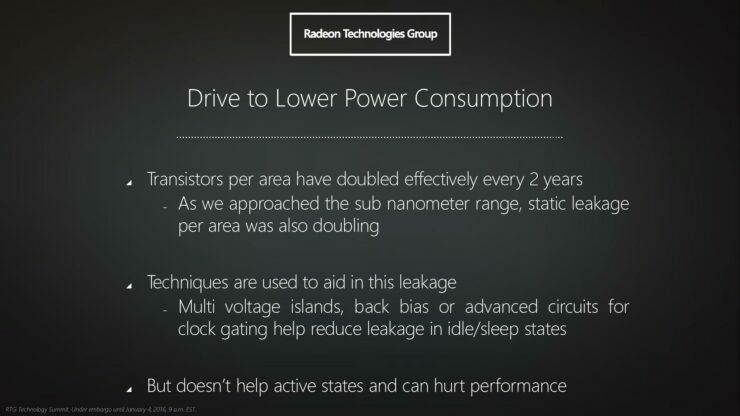 This has been true forever, but as process technologies grow even more complex and expensive it gives all the more reason to chip makers to favor smaller dies now more than ever before. Raja continued to outline his belief that multi-GPU solutions will be much more prominent in the future, extending up and down the stack rather than be relegated to the high-end enthusiast segment. 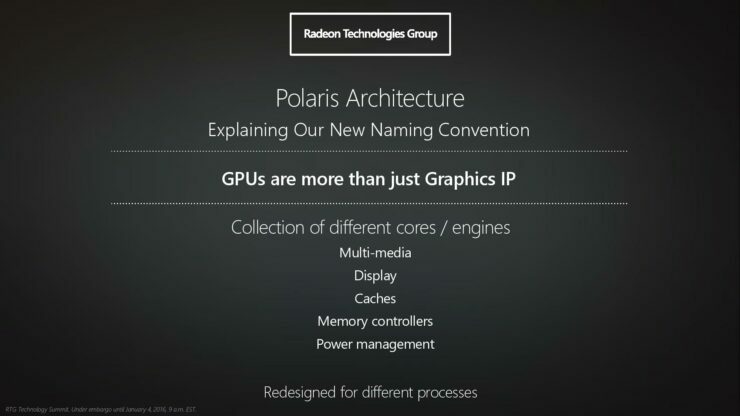 Speaking about Polaris Raja revealed that there’s not much rhyme or reason to the numerical naming scheme that the company has come up with for its Polaris 10 and Polaris 11 GPUs other than that it’s time based. 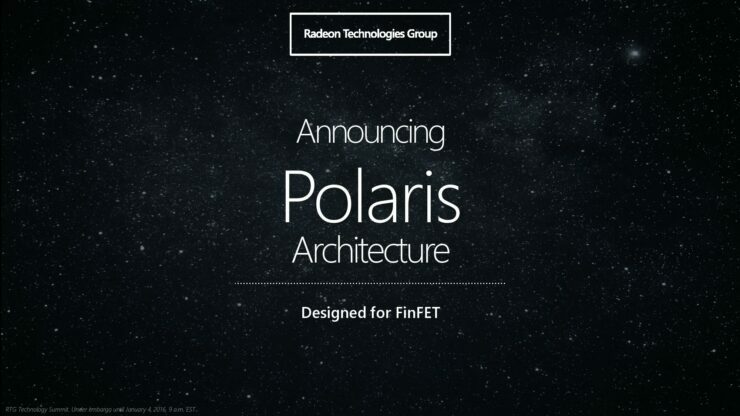 “There’s no equation to the naming scheme[…]It’s just a time based thing, If we build another Polaris architecture based chip it will be bigger than 11”. 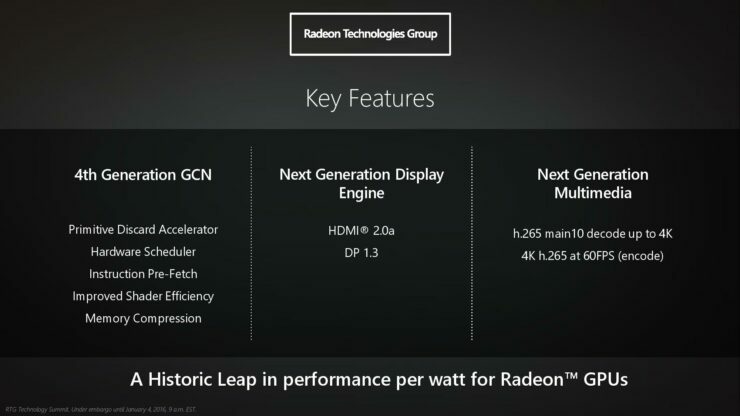 Finally, Raja confirmed that indeed HBM2 will be coming next year with Vega but not before then. A decision that was made because HBM2 is simply not ready for 2016 from an economic standpoint Raja explained. It wasn’t going to allow him and his team to make a compelling performance per dollar product in 2016 due to the high costs associated with it in its early ramp. 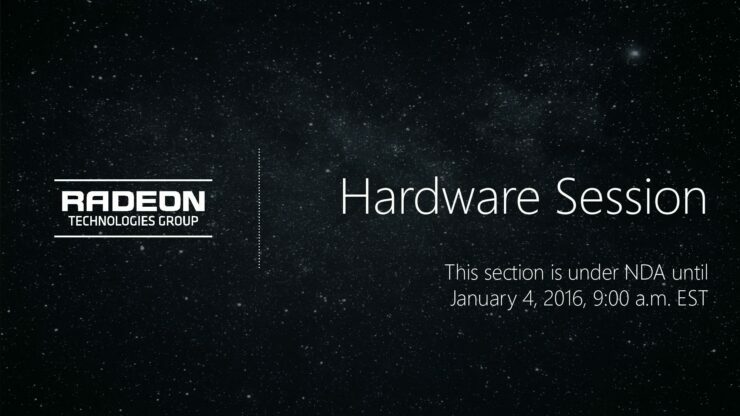 Thankfully however, we’re not going to have to wait until 2017 for Polaris. 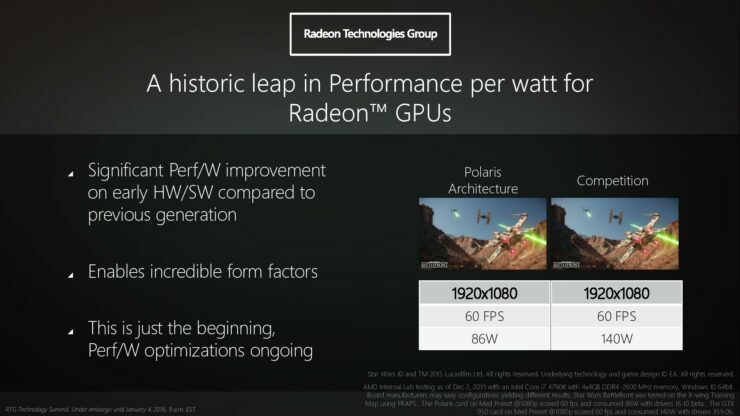 Polaris 10 and Polaris 11 based graphics cards are projected to deliver “the most revolutionary jump in performance so far” and are expected to start hitting shelves this summer.